As anyone who has done scientific research knows, obtaining the scholarly articles you need to support your work isn't as easy as it sounds. Indeed, conducting a peer-reviewed article search is about more than simply entering a few keywords into a search box and then placing your order. The first hurdle is finding research papers that will be most useful to your project. And there are a lot to choose from! With millions of scientific articles online, uncovering the content you need can feel like finding a needle in a haystack. And once you do manage to locate a scholarly article that suits your needs, there's another hurdle you'll need to clear: Obtaining the full-text paper. Indeed, accessing the full-text PDF of a scientific research paper is not always easy. If it's not available from the place where you found the citation, you'll have to dig deeper. That means hopping around from various search engines and publisher sites until you find a place where you can access the full-text document. But don't break out the champagne just yet! Next, you need to decide how you want to access the article. Do you want to rent or purchase? Might you already have access to the paper through a subscription? Is there an Open Access version available? Buying research papers can get costly. To avoid spending a whole lot of money purchasing every article you find, these are all critical factors to consider. Suffice to say, accessing scholarly literature can be a costly and time-consuming endeavor. At Reprints Desk, we recently launched the Article Galaxy Gadget Store, which offers a wide-ranging collection of science apps, or Gadgets, designed to simplify and improve the research process. The Document Delivery Gadget is an easy-to-use app that provides access to scientific documents on demand, including full-text papers and book chapters from all major publishers. In just a few clicks, you can easily access, purchase, or rent any scientific document, including Open Access and link-outs to publisher subscriptions. To help you determine whether to order a specific article, you can view its trending article stats (i.e. online popularity ratings as measured from blogs and social media, called Altmetric scores) and availability options at a glance —without leaving the Gadget’s interface. What’s more, Article Galaxy’s automated Open Access and low-cost filters let you obtain your paper at the lowest legal price. 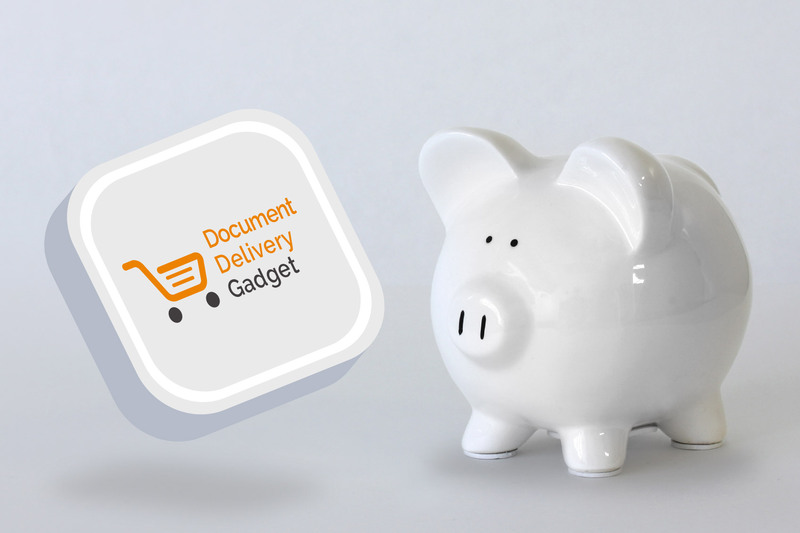 Once you place your order through the Document Delivery Gadget, you can read the journal articles online in your browser or have native PDF documents delivered to your email inbox within minutes. And if you ever happen to misplace an article, you can download it directly from the Gadget's “order history” tab, where you can review your past transactions. When creating the Article Galaxy Gadget Store, we designed many of our Gadgets with integrated functionality to help promote a smooth and efficient research workflow. For example, the Reference Manager Gadget and the PubMed Searcher Gadget (both of which offer comprehensive search functions), include “in-Gadget” order and document delivery options. Which means you can order scientific documents on demand directly from your search results within the Gadget's interface. At the click of a button and without taking a detour to fill out an online order form. Opening a Gadget Store account is free and provides access to up to eight Gadgets at a time. Paid accounts include unlimited Gadgets and additional functionality. Organizations that upgrade to an enterprise account, for example, will gain advanced research retrieval and document delivery functionality, such as subscription and holdings integration, volume discounts for article service fees, and access to supplementary materials. Visit the Gadget Store to learn more and sign up.